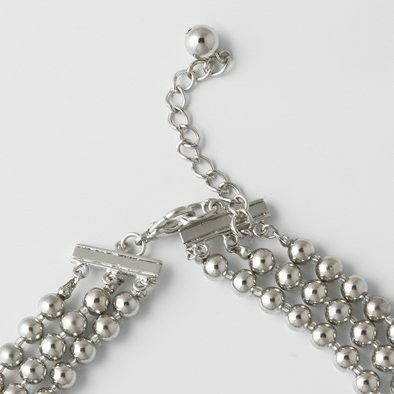 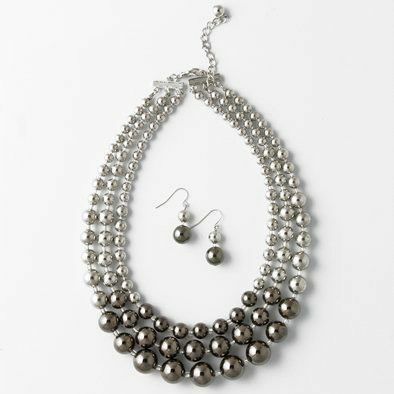 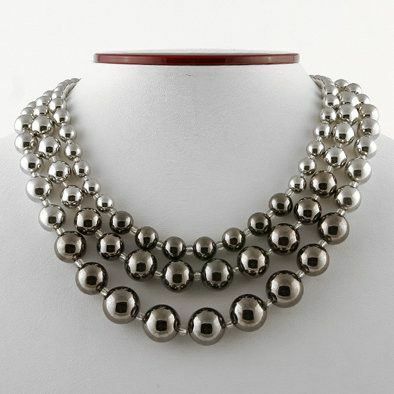 The bold fashion necklace features three strands of silver and charcoal colored metallic spherical beads. 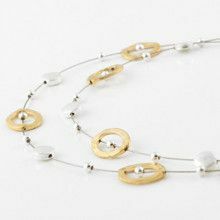 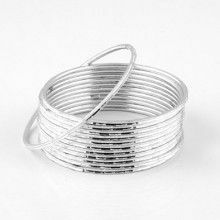 Each strand has beads that graduate in size, and each strand is a different size and length, making this necklace simple but unique. 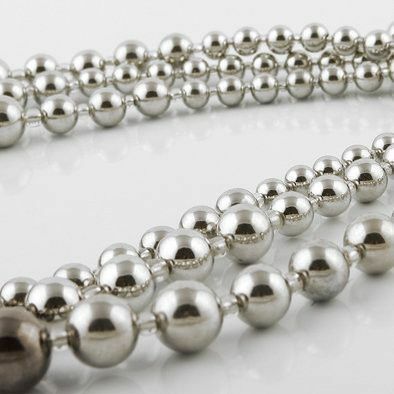 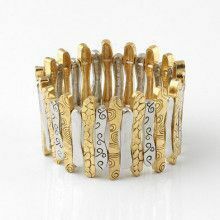 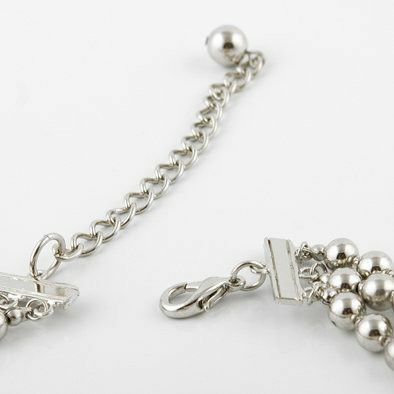 Each bead is spaced apart by a small clear bead. 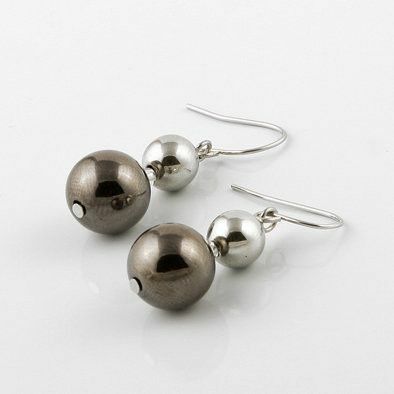 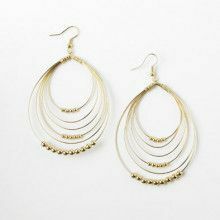 The matching earrings have one light silver sphere stacked on top of a dark charcoal sphere dangling from a simple silver hook.